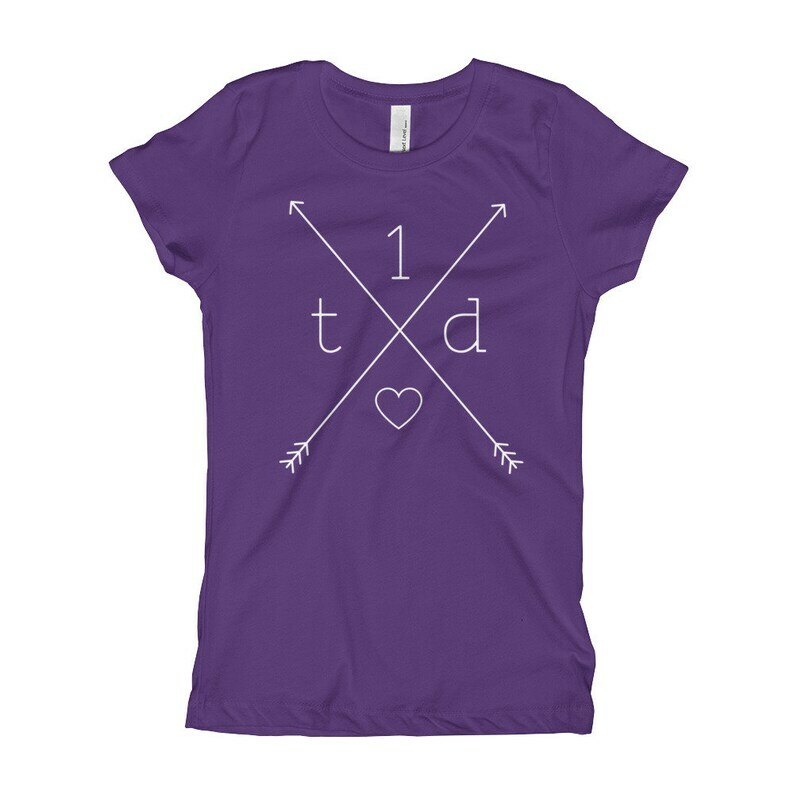 Dia-Be-Tees T1D Crossed Arrows Girl's T-Shirt- Order up a size or two! This shirt has a VERY slim and fitted width. PLEASE ORDER UP A SIZE OR TWO FROM NORMAL. It can be worn on its own or layered, make it your yours! Dia-Be-Tees Women in T1D Science Diabetes Girl's T-Shirt- Order 2 Sizes Up!